A list of roofing problems would be incomplete without a leaky roof as one of the primary issues to be on the lookout for this summer. Especially with heavy precipitation dominating this time of year, no one wants to run to get the drip bucket every time it rains. Not only is a leaky roof annoying, one small drip could be indicative of a larger roofing issue—and we all know a larger roofing issue calls for a larger amount of money and time invested in its repair. No matter your roof’s age, be sure to keep this list close by, as you never know when your roof’s problem could be solved with a quick repair, or if a major remodel is necessary. Read on to learn the most common causes of a leaky roof and their solutions. Because shingles make up the exterior of your roof, it’s easy to tell when one is damaged or missing. 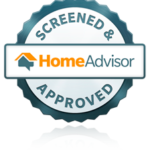 You should be able to identify broken or missing shingles by the different colored patches on your roof. The Solution: (Via This Old House): Slide a pry bar underneath the row of nails that connects the damaged shingle to the one below it. Lift up until the nail pops and then press down on the shingle while you remove the nail. Repeat for the remaining nails. Pull out the damaged shingle, replace it with a new one, and secure it with four new nails. Flashing are thin pieces of metal installed under shingles and between joints to create a waterproof barrier. Broken flashing can be identified by exposed areas on a roof. The Solution: (Via The Family Handyman): Once you locate the source of the leak, pry up the nails used to secure the old flashing. Lift any shingles out of the way and remove the cracked segment. Gently put a new run of flashing in its place, fasten the new flashing in the same pattern as your old piece using roofing nails. Then, apply a coat of roofing sealant to the nail heads. 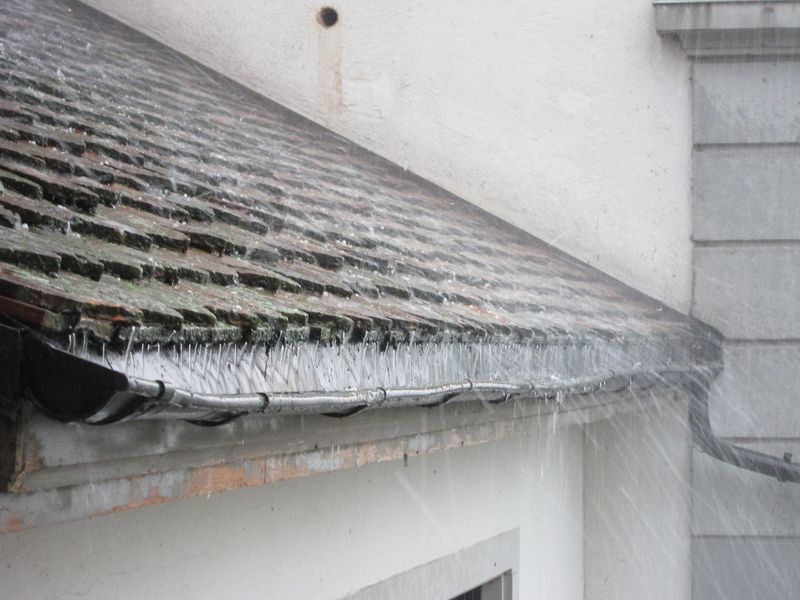 You may be able to see that your gutters are clogged without getting up on your roof, but if not, the sure way to tell is if you notice a lack of water pouring out of your gutters during a rainstorm. If your gutters are clogged, water can get backed up and pool over an area of your roof. The Solution: (Via Freshome) Get up on a ladder and get in there with your hands. Many recommend placing a large tarp underneath the area where you are working. That way, you can drop any debris as you go and wrap it up for easy disposal later. If you prefer a professional to take a look at your leaky roof, contact RNC today!